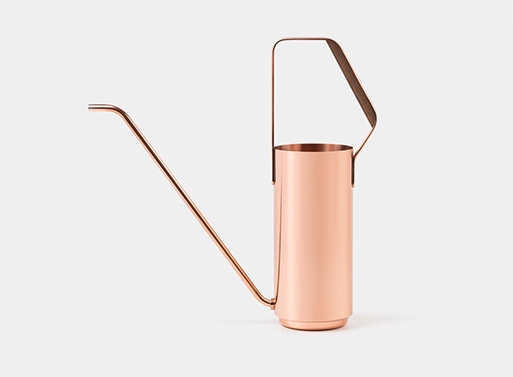 Will a pretty watering can make your houseplants happy? Probably, but it will be because you’re happy watering them with the Kaenjusai Watering Can by designer Keita Suzuki. See the matching angle of the handle and spout? That will give you a precise “point-and-pour control” to ensure less spillage. 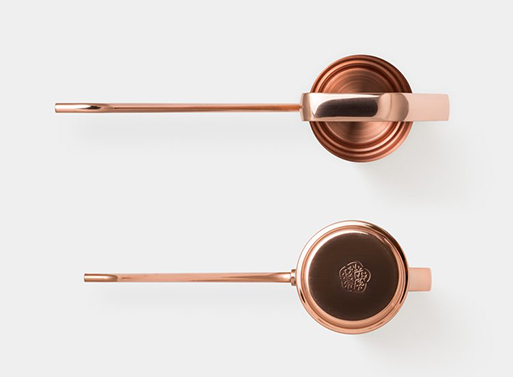 A walnut handle compliments the copper body. Notes: Raw copper will develop a rich patina over time. Original shine can be restored by using copper polish. Originally posted May 19, 2017. Available from Ode to Things, $250.00.